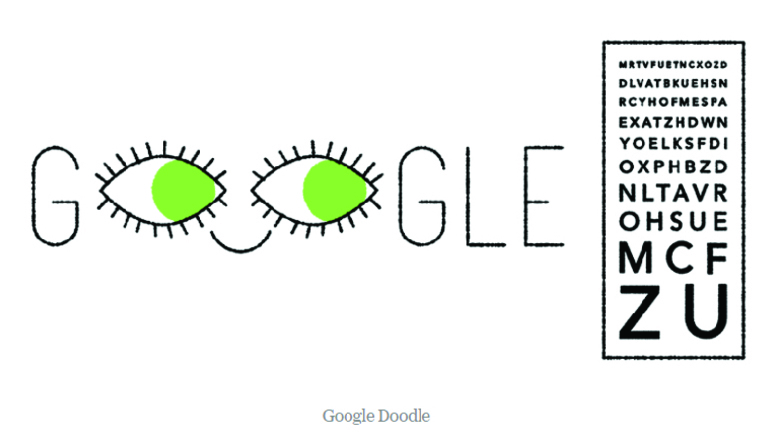 Yesterday (9 May), Google paid tribute to Ferdinand Monoyer, the French Ophthalmologist largely credited with popularising the use of the dioptre as a measurement of vision. He was born in France in 1836 and grew up in Lyon before moving to the University of Strasbourg in 1871. He died in Lyon aged 76 in 1912. Yesterday would have been his 181st birthday. As well as promoting the use of the dipotre, Monoyer also invented his own vision chart, a rival to the Snellen chart, released around the same time. Read from bottom to top, each line was meant to represent a quarter of a dioptre of blur. Perhaps the most interesting thing about the chart though was that he wrote his name up the sides of it. Reading up from the bottom, his first name appears on the right edge of the chart and his last name on the left edge.